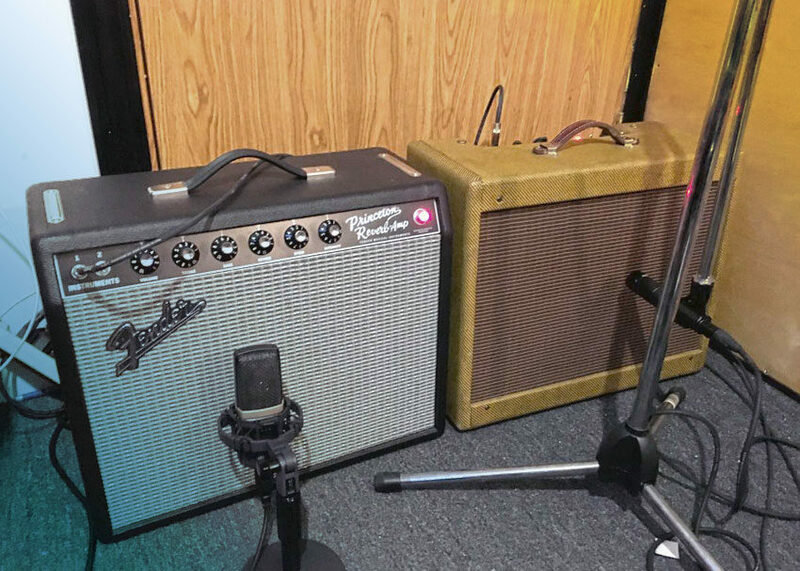 Are Two Guitar Amps Better Than One? Setting up a rig with two amps really inspired my playing, because nothing else can really capture that sound. While the sound increase isn’t as big as you’d expect, the tone can be transformative. It’s also simple to do, so don’t be afraid to pick up the necessary ingredients to start your path onto new sonic territory. All you really need (besides two amps) is an ABY pedal that has some flexibility in phase cancellation and ground lifts and a couple more instrument cables. Not every band has a decades-long catalog which requires the guitarists to tour with several amps to cover all sorts of styles and sounds. For the rest of us who tend to just use a few types of amps, it can be a lot of fun and inspiring to combine them to create full, luscious sounds. But just because you like your Marshall JCM 800 and a Vox AC30 when they’re each played on their own, doesn’t mean you’ll love the way that they blend together. 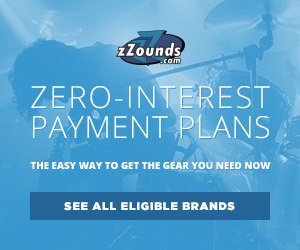 This is where finding mixing amps that compliment each other is key. I’ve illustrated this concept using a two-amp setup with samples below. These showcase the tone of both amps, both played together on a track and individually. At the bottom of the post I’ve listed out my settings for each amp. For my dual-mono setup, I use a 1965 Fender Princeton Reverb Reissue and a 5E3 Tweed Deluxe clone. Both amps are usually on the “edge of breakup” or right when they’re starting to get a little tube saturation. Blackface Fender amps are associated with a “scooped mids” sound, while tweed amps are known for boosted mids. After thinking about it for a while, I thought that if both amps were on at the same time, they’d work well together. The Princeton Reverb covers what the Tweed Deluxe doesn’t and vice-versa, so you get this much larger, almost three-dimensional sound. 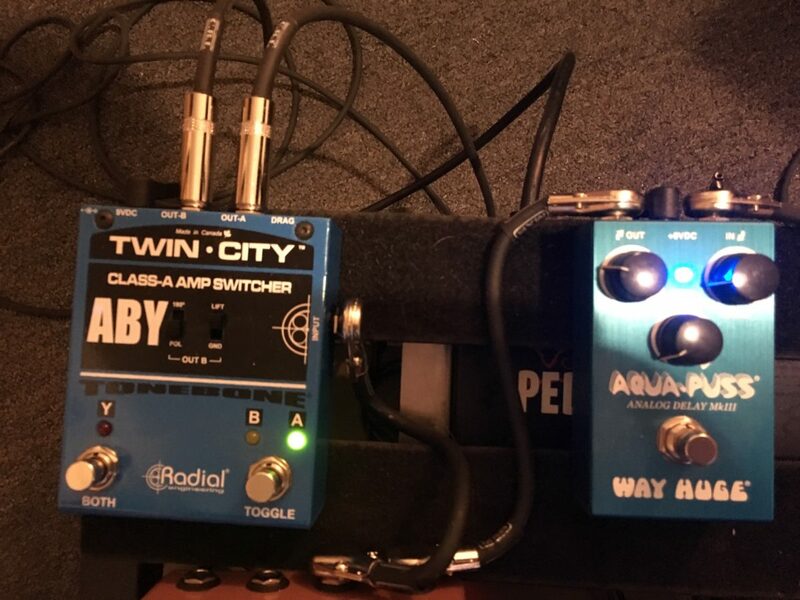 I ended up picking up the Radial Twin City ABY pedal to split the signal and give me the ability to set phase and a ground lift. When setting the phase, listen for which setting has more low end — that’s what is in phase. Setting the ground lift is also really simple — just switch it up or down depending on which setting is quieter. Since the Twin City is an ABY, it can quickly switch between amp A and amp B, or run into both at the same time. In the first track, I set up my amps and had my Way Huge Aqua Puss for some slapback that I have on all the time to get a little thicker sound. Each amp is on the edge of breakup and set pretty mild. If I need any more drive, I’ll usually just kick on my J. Rockett Archer for a little boost in volume and dirt. Of course this is just the beginning of using multiple amps, since all amps react differently to overdrive, fuzz, distortion, and modulation pedals. For the second track, I thought I’d try doing a “one-amp-or-the-other” setup that I know a lot of people would be interested in. It’s really just trial and error in this kind of stuff since you just need to level out which amp should be louder and brighter than the other. 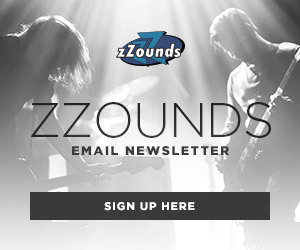 This would be great if you only like the sound of your amp’s overdrive instead of getting that from a pedal. 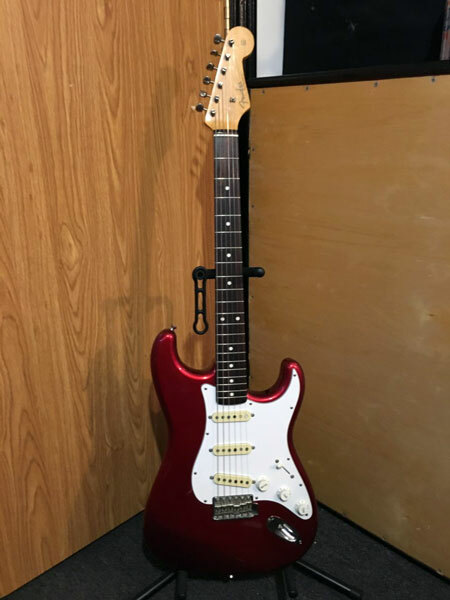 I played my 1991 Fender MIJ ’62 Reissue Stratocaster through the Princeton Reverb that is panned left. I mic’d that amp up with an AKG C314, and the Tweed Deluxe that is panned right was mic’d up with a Shure SM57. They were both going straight into a Universal Audio Arrow straight into Logic X without compression, EQ, or any other effects. I’m a guitar and amp addict who loves Wilco, guitar history, and loud, cranked up small-box amplifiers. I go to a lot of local rock shows, record stores, and anywhere with fried food. I use two amps, love it. Used a JC 120 and a Marshall 2061 head/cab, (JC 120 w/ volume LOW), as stereo output from EH GRAND CANYON pedal with panning on , the JC120 w/ the chorus ON: sounded really sweet. Have played a lot of blues w/ a Fender Deluxe Reverb and the JC 120 on an ABY box. Seems to sound best w/ the DR driven well into to break up. Guitar volume rolled down for both: Clean. Guitar volume rolled up w/ just the DR: Crunch. Guitar volume up somewhat w/both: Solo w/ clear OD. Keep overall volume in a sane range w/ the guitar volume knob so the sound guy doesn’t become vengeful. I run both amps at the same loudness, (sound pressure). I suppose one could get a similar sound from a small 5 watt tube amp plus the JC 22, (30 ss watts), on an ABY box for home/studio. Saw Little Milton at the Long Beach Blues Festival years back. He used a Fender Twin Reverb and a JC 120 on an ABY box. Sounded very good. I worked an Ernie Ball clinic many years ago featuring Steve Morse… he requested a Marshall 50 watt 1/2 stack and a JC-120… used the Ernie Ball A/B pedal with volume control. I was amazed at the sound he produced…. The best stereo affects I ever had was with two identical 25 watt fender amps run through the boss G-8 guitar affects board. I could sound like every guitarist that I wanted to or needed to. My next rig will be two Roland JC 120 AMPS OR 2 LINE 6 spider 5’s 120 watt amps. Leaning more towards the Line 6 set up though, cause I won’t need a helix .. boss by 100, … or other guitar affect board other than the Line six one.